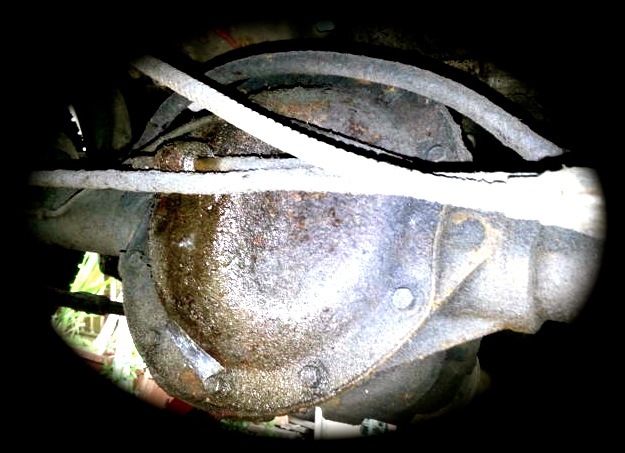 The cause of the leaking is rust, it eats through the back plate and perforates the steel, ultimately ending in tiny holes that axle gear oil will leak through like in the picture below. A simple fix is to replace your rear back cover plate with a new one before the oil runs out and causes the gears and bearings to "burn" through excessive heat and lack of lubrication. 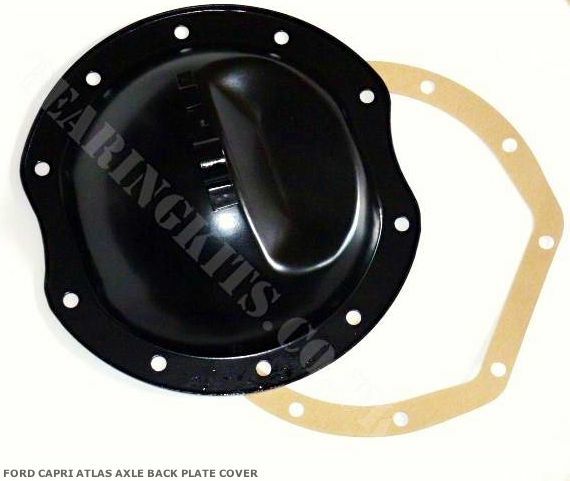 Our new Capri Atlas axle covers are made of heavier gauge steel than the originals, come with handbrake loop welded into place and are coated in black. A new gasket is also supplied so you will have all you need to fit. To replace your cover simply unbolt the old rusty cover by removing the 10 x backplate 10mm bolts, let the oil drain, clean the axle case "pigs head" where the gasket sits, then refit new cover & gasket.